Emma Mander and her mother Kath have noticed holes in the soft play centre market in their South Manchester neighborhood, and they are collaborating to fill those needs. If they successfully purchase the local Anchors Away play centre, they plan to make it more accessible to disabled children and infants and make the space more enjoyable for parents. 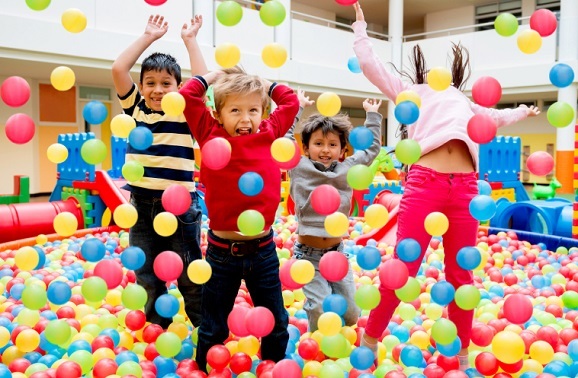 “The business has a good base line to build on; there are many areas within the business that can be developed, all of which will create more custom and more awareness of the play centre,” Emma Mander explains. Goals include improving the health and variety of the centre’s café menu so parents will be inclined to spend more time there and feed their children there after school. They also want to offer classes and create a sensory area for babies and disabled children. The other local play centres don’t offer these services, and it’s something parents in Emma’s circle are looking for. Anchors Away is the most popular of three play centres in the area, and Emma believes their plans to improve it will increase its popularity further. The business will formally operate under the name Play Away (Reddish) Limited. The mother and daughter’s ambitious plans include opening a second centre within 3 years and expanding to additional locations in the long term. The pair each have strong backgrounds in business areas that make them confident in their plans. Emma and her family have offered good security as well as having a cash buffer to further reduce risk to lenders. The business’s current earnings can accommodate the repayments, and the improved earnings they have planned will improve the picture further, she says. Two lenders were so impressed with the plan that they have offered to help subsidize a few other people’s loans with £20 each to help cover lost interest. Their ambition and experience indicates the pair will provide a much needed and well-executed service to the families of South Manchester. You can see Play Away’s marketplace listing here.